Looking for some fisherman gift ideas? Most non-fisherman do not even know where to start looking. I mean, if they fish, they probably have everything they need, right? Well today, we will cover some gift ideas that should go over good with any fisherman. What Type of Fishing Do They Like? Knowing what type of fisherman you are buying for will make your quest much easier. Do they trout fish, are they enjoy bass fishing, nighttime catfishing, big water ocean fishing? Knowing what type of fishing they do can help you narrow your search down so you can find something not only cool but something they will actually use. Below you will find suggestions for multiple fisherman gift ideas. I’m sure these ideas will help you get the ideas flowing. If not, homerungifts.com has some more unique fishing gifts that you may find helpful. 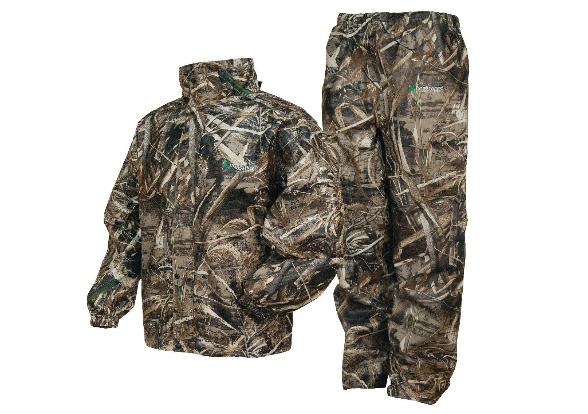 Frogg Toggs are a light weight set of rain gear that any fisherman would love. Every person who fishes can tell you a story about being out in the rain. I can tell you from first hand experience that it is miserable fishing in the rain. I know I wished I would have had these many of times. We now not only have one set, but two! 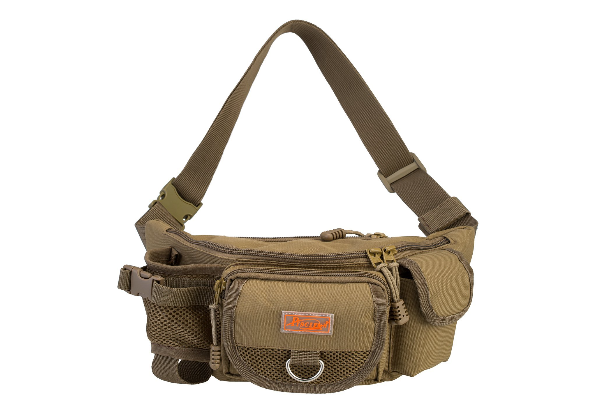 One lightweight pair for fishing in the summer and a heaver pair for hunting in the winter. If you get the cheaper light weight Frogg Toggs, they can with a small storage bag that makes easy to store and throw in your tackle box. They fit easily over your clothes and can be put on over your shoes without needing to take them off. Frogg Toggs are also breathable so you can stay cool and not overheat making the situation even worse. I like that I always have extra worms or whatever I’m using on my hip with easy access at all times. When I catch a fish (or loose one), I can swap out my torn up lure without needing to dig through my tackle box. I also like these is plenty of space to keep extra hooks, a pair of multi-tool pliers (see below) and my cell phone. No matter what you fish for, a good multi-tool is a must for any fisherman. 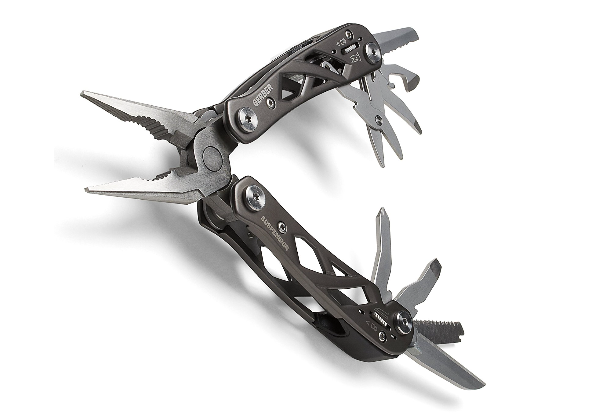 Most people like myself have always used a cheap multi-tool or always carry a pair of pliers, a knife, etc with them. A cheap multi-tool is not only junk that may last a year, they can also be dangerous. I have personally had the knife rotate out in my pocket and cut myself when I went to place my hand in to grab it. I suggest using a good brand like Gerber (pictured above) or a Leatherman. Both are very well known for quality and can be purchased for under $60. I like that I can have access to pliers and a knife on my belt or in my fanny pack at the ready. Also, always having a screw driver, small saw and file on me at all times in case it is needed. I also like that all the tools and blades lock open and closed for safety reasons unlike the cheaper brands. 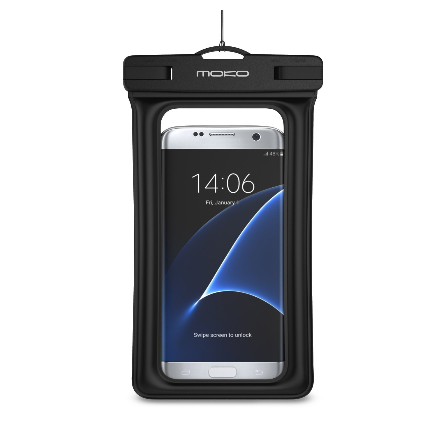 A waterproof floating phone case is something I bet most fisherman do not have. The case above is designed to hold many different type of phones. It will not only protect a phone that hits the water but it will also float. What’s the purpose of have a waterproof phone if it at the bottom of a lake! You may just a get a call one day thanking you for this one with a story about how you saved their $1,000 phone along with priceless photos, contacts, etc. The best part of this gift is depending on what you get is very cheap. The one in the photo above is under $10 shipped, making this a great fisherman gift idea. I like that my investment, photos, contacts, basically my life is protected. 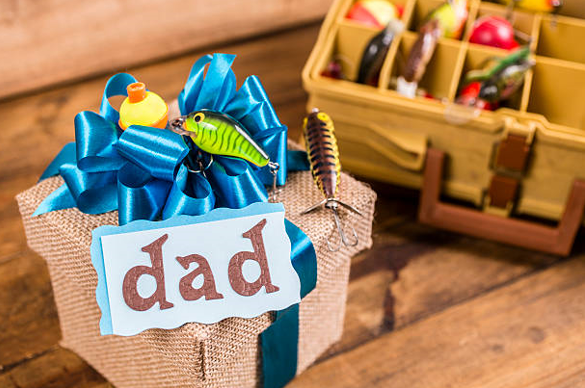 This fisherman gift idea may or may not be for you, but it is worth considering. A GPS unit serves a couple purposes. 1. It gives you a map of your area. This can come in handy if you are navigating new waters. and can also help you if you get lost. You can also bring up your longitude and latitude to send to help in case you break down. 2. You can mark locations. This is my favorite part, a fisherman can mark honey holes/good fishing spots so they can come back the next time they are in the area. I’m sure most people who fish can tell you about a sweet spot they could not keep their line in the water but also say, it has been a couple years and wish I could remember how to get there. A GPS a can solve that issue. If you find a spot worth revisiting, you can mark it within the GPS and get directions to it at any time. Handheld fishing GPS’s come in many price ranges. I suggest checking multiple brands and making your decision on the offered options. 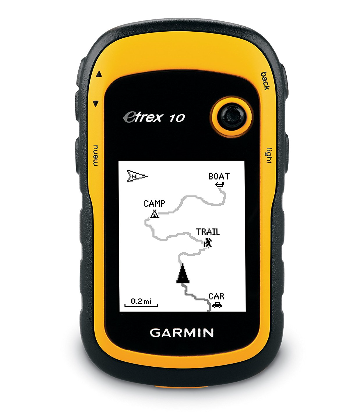 A color GPS is nice but will cost more and may not be needed for what they will be using it for. Something to keep in mind is smart phones can do most things a GPS can do. This gift might not be for you if you get good service everywhere you fish. A fishing GPS unit may be for you if you do not get good service in spots or if the person is not that savvy with smart phones. Smart phones work off cell towers, these signals get blocked. Think about how often you are out of range on a daily bases in the real world. Now think how bad your service might be while out on the water. I like that I can mark honey holes and don’t have to worry about remembering how to get there. I also like that I have that extra peace of mind that I can get my exact location in an emergency and that it doesn’t work off cell towers. Not the common gift idea for a fisherman but just like golfing, cigars go hand in hand with fishing. Many people love to have a stogie while out on the water, I know I do. 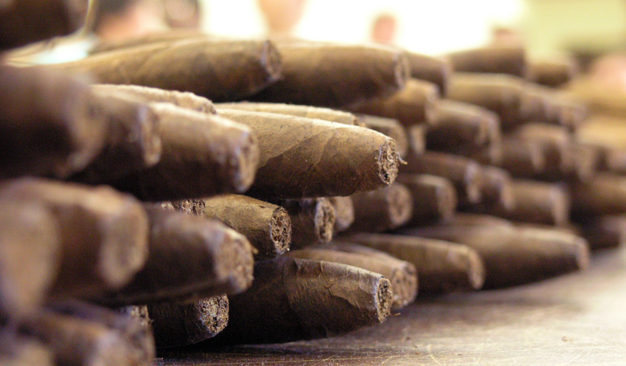 Even if the person you buy for doesn’t smoke, a couple good cigars may be an idea. I don’t know too many guys that would not enjoy a nice cigar while out fishing. This gift choice would be best for people who troll, like n the ocean or trolling for stripe bass or walleye. It may not be a good choice for people whole fish with lures for bass, crappie, etc. Though, they can enjoy them when not fishing. StogieDeals.com has some good reviews that help you decide what they might like. I really hope that the above gave you some great ideas on finding a useful gift for a fisherman. If none of the above gets you excited, just keep an open mind. Think about what can make the persons trip easier. Think about what happens when out fishing and something that can help with the tasks. From weather related clothing, to tools, to comfort. I’m sure you will find the perfect fisherman gift they will love!